North Avenue, the border between the north side of Oak Park and the Galewood neighborhood of Chicago, is relatively newer than many surrounding neighborhoods. While the buildings along North Avenue post date Frank Lloyd Wright, he golfed here with friends and clients. Many used the area as a place to get away and hide from the City. It was one of the first automobile oriented commercial strips in the Chicago area. A favorite location for drive-in restaurants, the road west of Oak Park and Galewood – known as State Route 64 – was a renowned teen hangout for street races. Architecturally, the area is rich in 1920’s storefronts with highly decorative terra cotta cladding and details. 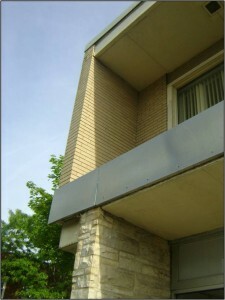 Later buildings were exuberantly mid-century modern. Experience the world renowned architecture of our town, which is just a scant eight miles / twelve kilometres from another equally world renowned and architecturally significant place, the Chicago Loop. And besides –North Avenue has lots of great restaurants, stores and cultural attractions to discover and enjoy once you’ve completed the North Avenue Architecture Photo Party. 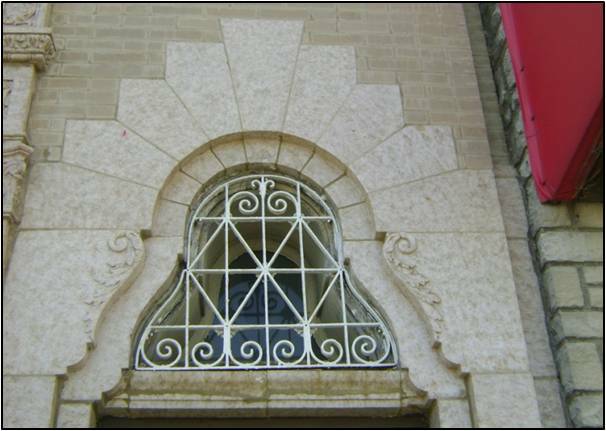 By walking along public sidewalks and right-of-ways contained along North Avenue between Austin and Harlem Avenues, and for an area one block north and south along Harlem Avenue; locate these architectural features and details, noting their location. Oak Park is a living museum containing many private homes that just happen to be world renowned masterpieces. No private residences are featured in the North Avenue Architecture Photo Party. However, please respect the homeowner’s privacy and remain on the public sidewalks for the hunt. The Jetsons’ probably get their teeth fixed here. 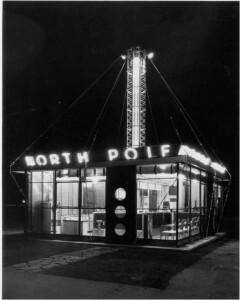 While historians agree that this was the North Pole Drive In, located in River Forest, Illinois. 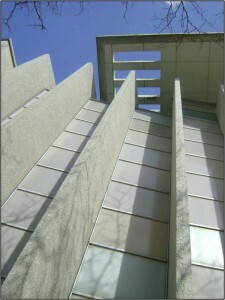 It’s also agreed that its architect was Bertrand Goldberg. No consensus exists on where this was located. However, I have my theories….